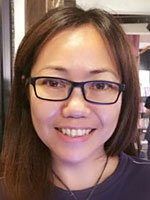 Kaygarn Tan holds a degree in Bachelor of Biomedical Science (Hons) and a Masters in Pharmacy. Ever since young, he was fascinated with how the mind works and he reads about the subject widely. He was introduced to the Silva Mind Method ago by a friend who gifted him with the book The Silva Mind Control Method by Jose Silva; and thereafter he attended the Basic Lecture Series, which further helped him in understanding the Silva Mind Method’s technique and how to apply them. He has been practicing the Silva Mind Method since 2002 and the knowledge and techniques that he learnt in the Silva Mind Method program has given him the wherewithal to achieve the many goals that he sets in life. Most significantly, he has applied the knowledge and techniques in what he does best; which is property investment, where he had successfully built a sizeable property portfolio with consistent monthly cash flow. 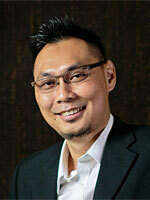 Kaygarn Tan is now a Silva Method Instructor and Human Resource Development Fund (HRDF) Certified Trainer. His mission in life is to be able to reach out to more people and to share the simple yet powerful Silva Mind Method’s knowledge and technique. He strongly believes that each and every individual has potential and is able to achieve anything that he or she desires in life; and with the Silva Mind Method, they will be greatly empowered to do so. 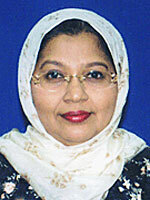 Hasena Wahab is an accountant by training with an MBA in Finance from the University of Leceister. She has a keen interest and passion for mind sciences which started when she attended the Silva Mind Basic Programme in 1978 while still a teenager. This programme propelled her to explore, learn and study various other mind science and healing methods including Crystal Healing, Sufi Healing, Reiki Healing, Silva Healing and Ultra Mind ESP. She is experienced facilitator for the Silva's Basic Silva Mind Method Programmes. Her deep interest in this field of mind sciences allowed her to continue her learning to become a Certified Clinical Master Hypnotherapist. Hasena Wahab is a member of the National Guild of Hynotherapists and a member of International Association of Counselors and Therapists of America. 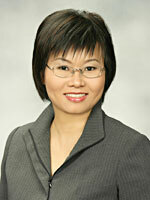 She has also had experience in conducting various public and in-house seminars upon request of companies since 1999. A firm advocator of the science of natural healing, she firmly believes that "You already have all the answers within you, if only trust yourself." 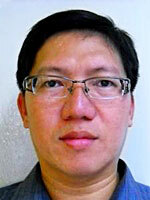 Chua Swee Hock is a Regional General Manager of a Belgium based Multinational Corporation in Malaysia. He holds an MBA from Charles Sturt University Australia. The complete professional who is required to travel extensively to develop company presence within the Asia Pacific Region; including set up overseas offices. He has been practicing Silva Mind Method since 1981, and the knowledge and techniques that he learnt in the Silva Mind Method program gave him the power to overcome many obstacles in his corporate career especially when he was posted overseas in Africa and Greater China for more than 10 years where he was working in a complex, unpredictable and non-regularized business environment. He is now a Certified Silva Method Instructor. His objective is to share this simple and yet powerful knowledge and techniques to all Malaysian. Chua Swee Hock is a strong believer of the "5F Theory" in which a happy and complete life can only be based on the five major elements of "Family, Finances, Friend, Fitness and Faith" being in harmony. He enjoys Mother Nature wherever and whenever possible, hiking, family picnics, swimming and extensive reading. He is the Vice President of the CSU MBA Alumni Association Malaysia, and is a member of the Klang Chinese Chamber of Commerce and Industry SME & HR Committee. Swee Weng has been a Silva Graduate for more than 30 years and learned from various Silva instructors including that late Dr Jose Silva. The practice of the Silva Method techniques has been a mainstay of his life since. 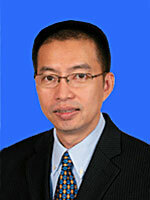 Swee Weng is a Chartered Accountant by profession and has contributed actively to the accountancy profession. 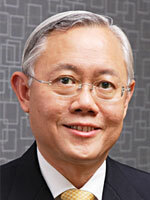 He has more than 35 years experience in public accounting and consulting in Malaysia and United States of America. He served as a member of various working groups set up by Malaysian Accounting Standards Board (MASB) to carry out the review of new standards issued by the International Accounting Standards Board (IASB). He was a committee member of the Malaysian Institute of Accountants (Penang Branch) and chairman of its Continuing Professional Education Sub Committee, and has organized various conferences, forums, seminars and evening talks on accounting and management subjects for accountants and accounting students. His long and illustrious career had begun very humbly. It is now his fervent wish and dream to share his wealth of knowledge and experience.